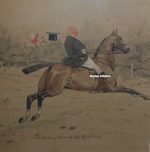 The Sylvester Stannard paintings, prints and pictures below represent a selection of works by Henry John Sylvester Stannard. 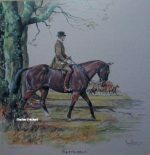 Stannard subjects include rural scenes, villages, country life and game birds. If you can’t see the Sylvester Stannard that you’re looking for then please contact us on 07889 800857. Henry John Sylvester Stannard was born in Bedford on 12 July 1870, the son of Henry Stannard, a sporting painter. Stannard and his father were descended from a family of well known Bedfordshire artists. He was educated at Bedford Modern School and the National Art Training School in South Kensington. He was elected RBA in 1896. In his work, Stannard typically depicted pastoral scenes and the rural idyll. His paintings were exhibited at the Royal Academy, the Royal Institute of Painters in Water Colours, the New Gallery, the Royal Society of British Artists and the Royal Cambrian Academy of Art. In 1906 Stannard was honoured by Queen Alexandra with a commission for a number of pictures including Her Majesty’s Wild Garden and Woods of Sandringham. In 1922 he held an exhibition with his daughter at Brook Street Galleries in London where Queen Mary became a patron of his colour drawings. In 1934 he was commissioned by the Governors of Guernsey to paint a view of St Fermain’s Bay and the harbour, a painting that was subsequently presented to the Prince of Wales. In 1936 he painted a view of his gardens at Virginia Water to the Prince of Siam and in 1937 he had two water colours of the Dart hung in the Royal Institute of Painters in Water Colours. Stannard died in Bedford on 21 January 1951.